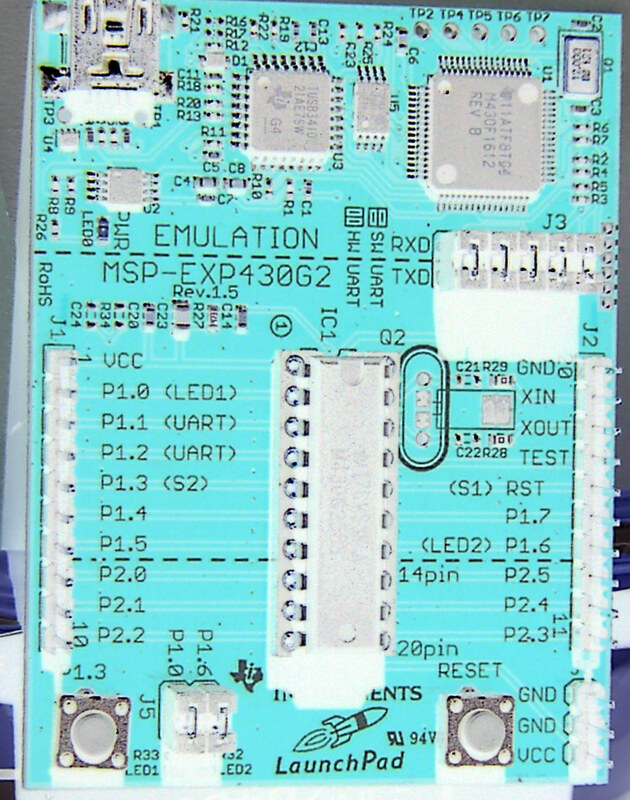 msp430 Launchpad Ideas and resources. My lame VB6 program to recieve temperature data. A photo of the Launchpad big enough to see the pins etc. (for old guys, taken on my wifes roll around cart with my trusty Toshiba M5). Image color is inverted to make text easier to read and to lower ink usage.